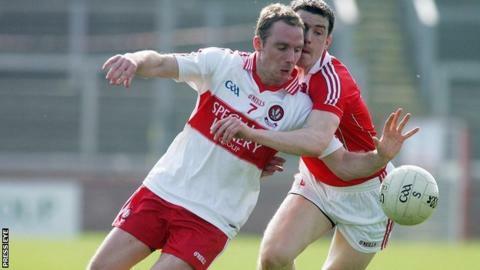 Derry defender Sean Leo McGoldrick will be back from a knee injury in time to face Donegal in the Ulster SFC opener at Celtic Park on 25 May. McGoldrick, one of Derry's star performers this season, was stretchered off during Coleraine's game with Derry and Ulster club champions Ballinderry. He will not however feature in the Division One final against Dublin. The Oak Leafers take on the All-Ireland champions at Croke Park on 27 April.